Horii actually did mention 3DS for Dragon Quest VII and VIII localization. The translator got upset when he did. Dragon Quest creator Yuji Horii just wrapped up a conference of sorts at the Japan Expo. At the very end of the event, he supposedly dropped a major bombshell. 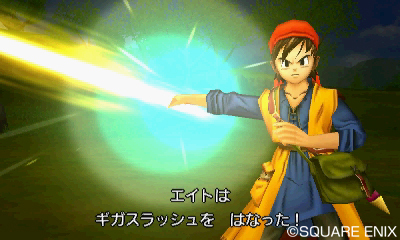 Horii said that the 3DS remakes Dragon Quest VII and Dragon Quest VIII will be released “in French”. That information comes from Twitter user Jérémie Kermarrec, who attended the conference. It’s backed up by fan site Final Fantasy Ring. Earlier today, the site posted an interview with Horii in which he stated that Square Enix is “thinking about” localizing Dragon Quest VII and Dragon Quest VIII. Kermarrec spoke with someone from Square Enix once things ended, and was told that Horii sharing the big news wasn’t planned. 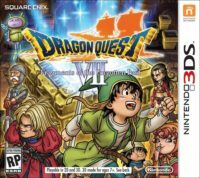 He nonetheless appears to have confirmed that the 3DS releases of Dragon Quest VII and Dragon Quest VIII are both coming west.